Approximately 80 kilometers northwest of Toronto, the town of Erin represents an amalgamated population and is comprised of the communities of Erin and Hillsburgh as well as the hamlets of Ballinafad, Brisbane, Cedar Valley, Crewson’s Corner, Orton, and Osringe. Originally a community dependent on milling and manufacturing, today, most of the region’s population work in nearby cities, although farming is still a key aspect of the area’s industry. Its keen location in the “Technology Triangle” and lower taxes also draw many business to Erin’s new industrial park. Erin strives to have people “shop outside the box” and shop at all of the local businesses. Erin’s community centre offers great shows and performances at the theatre. 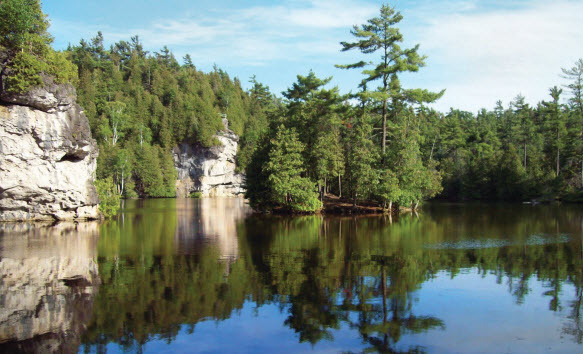 There are also 400 kilometres of hiking trails in the area. The Erin Agricultural Society Farmers’ Market starts in June and provides farm fresh food every week. Erin Radio can be found on your radio dial at CHES – 88 FM. There is no hospital in Erin. The East Wellington Family Health Team serves the people in Erin with two locations, one in the village of Erin and the other in Rockwood. Between the two sites, the Family Health Team employs nine physicians. In addition to family doctors, the team includes registered nurses, dietitians, mental health workers, social workers, and other healthcare providers. The Family Health Team offers primary care as well as nutrition and mental health services to the residents.